I LOVED this sketch! The large flower. The border strips. I was undecided on whether I was going to do washi tape or pattern paper, but I bought some washi tape from Hobby Lobby about a month ago and STILL hadn’t put them away. Nor did I put away my latest large order from A Cherry On Top, which included a large flower. LOL. Just with the goodies on my desk, the card was done! The flower is from Petaloo, and all the washi tape is The Paper Studio. 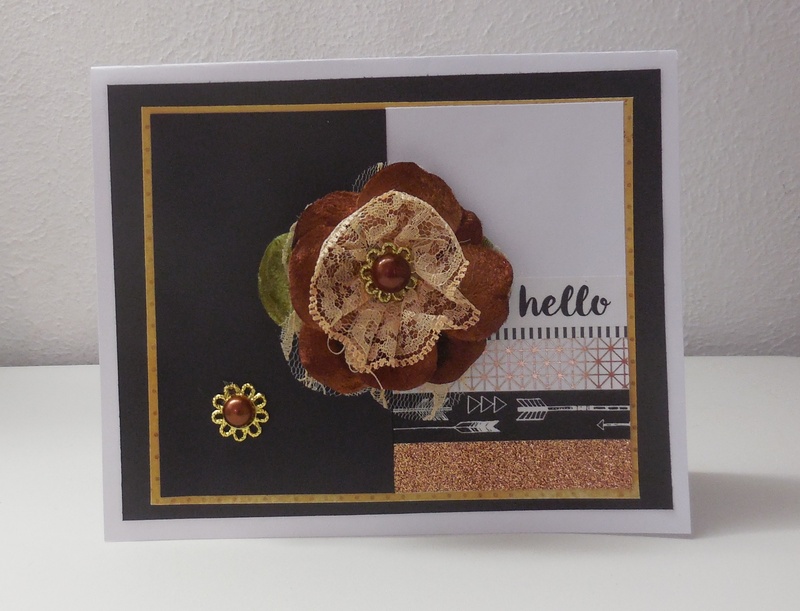 Cardstock is from Bazzill. Make sure you check out the rest of the DT’s wonderful work with this card sketch – you’ll get tons of inspiration! Hope you can play along!